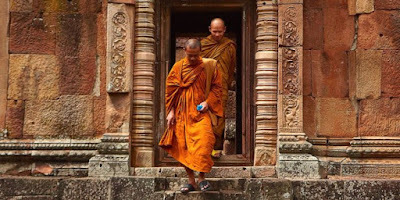 Zen Buddhism is a powerful philosophy that helps us find true meaning in life. In western society, we tend to think that we’ll only find happiness once we reach a certain level of income, or we cultivate the perfect relationship. However, Zen Buddhism says that true inner peace can only come from within. The key, according to Zen, is to let go of attachments and embrace living fully in the present moment. It’s certainly an outlook on life that all could benefit from, particularly for those of us who grew up in the west. 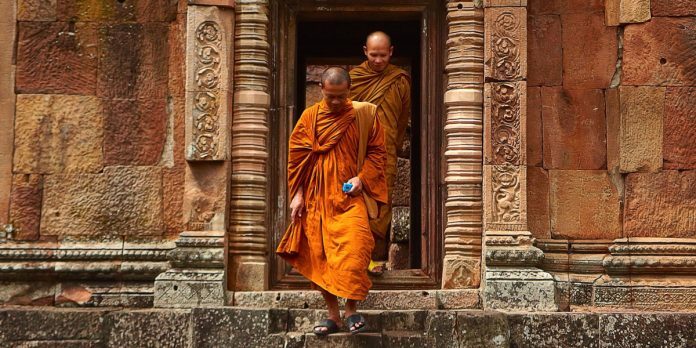 Below we have found 25 pieces of concise Zen Buddhist wisdom that you might not have heard before. I hope they shift your perspective as much as they have mine. Enjoy! 1) The temptation to give up is strongest just before victory. 2) The goal in life is to die young, but to do as late as possible. 3) Don’t speak if it doesn’t improve on silence. 4) A thousand-mile journey begins with just one step. 5) A strong man overcomes an obstacle, a wise man goes the whole way. 6) Don’t be afraid to go slowly. Be afraid of stopping. 7) Even the happiness of a fool is a stupid kind of happiness. 8) Even if you stumble and fall down, it doesn’t mean you’ve chosen the wrong path. 9) A hut full of laughter is richer than a palace full of sadness. 10) Always look on the bright side of things. If you can’t comprehend this, polish that which has become dull until it begins to shine. 11) Whatever happens always happens on time. 12) Someone who points out your flaws to you is not necessarily your enemy. Someone who speaks of your virtues is not necessarily your friend. 13) Don’t be afraid that you do not know something. Be afraid of not learning about it. 14) A good teacher opens the door for you, but you must enter the room by yourself. 15) A mountain never yields to the wind no matter how strong it is. 16) Live calmly. The time will come when the flowers bloom by themselves. 17) There’s no such thing as a friend who doesn’t have any flaws. But if you try to look for all their flaws, you will remain with no friends. 18) Unhappiness enters through a door that has been left open. 19) No one returns from a long journey the same person they were before. 20) A person who is capable of blushing cannot have a bad heart. 21) It’s better be a person for a day than to be a shadow for a 1,000 days. 22) Your home is where your thoughts find peace. 23) The man who moved the mountain was the one who began carrying away the smallest stones. 24) If you’ve made a mistake, it’s better just to laugh at it. 25) The best time to plant a tree was 20 years ago. The second best time is now. Deeply spiritual cultures remember a time when “people from the stars” freely interacted with members of the human species. Before intrepid and greedy Europeans ‘discovered’ the Americas, the land was populated by a variety of cultures encompassing millions of souls. Sadly, the near-annihilation of Native Americans has also meant the disappearance of ancient knowledge that we might never win back. Therefore, it is fortunate that the efforts of the survivors have included the passing down of stories from time immemorial and many of these talk about the “Star People”, a term that groups various beings who came from the sky to share a connection with humans who were worthy of their teachings. 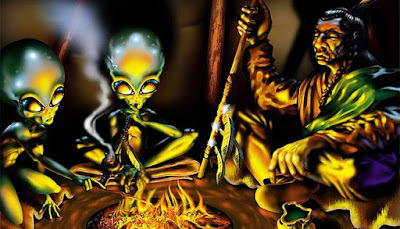 The ancient world was in contact with a multitude of advanced extraterrestrials, as evidenced by the rich collection of stories detailing these interactions. Many cultures separated by thousands of years refer narratives of flying objects and technology so advanced it could have well been magic. These stories are particularly strong within the mythos of the Native American tribes. The peaceful Hopi people believed their ancestors came from the Pleiades and the general demeanor of Pleiadian aliens is reflected in the Hopi lifestyle. Could this mean their genesis stories hold truth in them? It sure seems so. Dakota legends make reference to the same star cluster – Tiyami they called them – as being their ancestor’s primal home. Similarly, the Cree believed that in a time before history, their ancestors arrived from the stars in spirit form, only to become humans on Earth. Native legends of the Lakota people speak of mysterious celestial beings that manifested themselves as spheres of light and would often choose particular children to follow them on a journey through space and time. Here we have the written, unambiguous testimony of pivotal figure in the Sioux culture, a legendary man who was the cousin of Crazy Horse, telling us about his interaction with extraterrestrial beings aboard their luminous UFO. Without exception, all Native American tribes foster an umbilical connection with Mother Earth. They see themselves as the “original caretakers” of our planet and lament the path to destruction we’re currently on. Many tribal figures see this as the primary reason behind the weakening of the bond between humanity and the Star People. But at the same time, this implies that a global shift in our attitude towards the place we call home could rekindle this dwindling connection. So maybe that’s where all the good aliens are: out of sight, waiting for us to come into our senses. The Animal You See First In This Picture, Reveals The Essence Of Your Soul! 1. The dove is associated with peace, hope and connection. You possess a pure soul and see the good in everything and everyone. You inspire hope in others, and you don’t care much about material things. You also have a connection with the spiritual world. 2. Butterflies symbolize beauty and pleasure. You realize life is short, and you make the most of it. You hate planning and being bored, and you’re certain that the world is a big meadow with flowers created just for you. You have a soul so beautiful, people are bewildered! 3. The eagle is a free spirit and an adventure seeker. You fly high above the rest, and you know you deserve it. You’re proud and stern, and can see thing others cannot. You don’t like being restrained, and your independence is what attracts others. You own a very noble and gracious soul. 4. A dog represents loyalty and family. You’re selfless to those you love, and you appreciate them and their happiness more than anything in the world. You’re very reliable and outgoing, and you make people feel safe around you. You have a bright and loving soul that shines through, and is very connected to the souls around you. 5. Wolfs are lone animals. They symbolize loneliness even though they live in packs. If you saw the wolf first, it means that you prefer to have a smaller social circle. You’re very picky when it comes to friends, because you value yourself and your time the most. Your soul is wise, calm and tender, and it needs to be protected. 6. The praying mantis is a sacred animal in many cultures. If you saw it first, you’re a loner and you enjoy it. You prefer learning to socializing, and find small talks unbearable. But, your scarce social interactions don’t indicate that you’re bad at them. You’re intelligent and calculated, and very manipulative if needed. Long before my daughter was born I had a dream that I had a baby girl. She came near me and gave me a tight hug. She told me that I was her mother and also told me her name was Evelyn. This dream got imprinted in my memory and also in my heart. And, as a result, when I found out that I was pregnant, I knew it was a girl and her name would be Evelyn. Nothing can be truer than this, which means wish for a child! Our souls visit this Earth more than once to evolve. More I have learned about soul contracts and reincarnation I have learned it more definitely. My thoughts, as well as my beliefs, naturally graduated to this notion as I grew up. People who are still undecided about reincarnation, can come and explore with me the fact that souls are born into a different body many times. I strongly believe that when a soul decides to have another worldly incarnation, it chooses to have a life on the earth. This depends on the lessons they wish to learn here. So, they choose their set of parents entirely depending on their purpose and wish that will let them learn the specific lessons and enjoy the particular lifestyle. For instance, if two souls had been in this earth as a mother and daughter, they may wish to experience the emotions again or maybe reverse the roles, when the mother becomes the daughter and the daughter becomes the mother. Also, if the soul wishes to come to the earth in a particular region, its choice to have parents may become less specific. Just like different people around us, souls also have a different persona and they are reborn depending entirely on their wish and experience. If you read the book, Spirit Babies: How to Communicate with the Child You’re Meant to Have you will find stories narrated by an intuitive man who had spent his entire life in linking parents with their unborn kids. Though I cannot guarantee that I would be able to tell you about your future offspring, generally I can see them during my intuitive sessions, if there are souls waiting for them to be their parents. Parents also have a significant role to play in bringing the soul into their family. Their thoughts, wishes, and purposes create the beacon for the right soul that would respond to the energies. This is more true for the mother. Edgar Cayce says in his readings that it is a woman’s activities and thoughts during the period of gestation that creates some sort of ‘magnetic field’ in which the right soul get attracted to fulfill the life’s opportunity. In families having more than one child, souls also make sort of contract or agreement with their possible siblings. It is the energy and wish of the mother that creates the incarnate to decide on the order in which they are to be born. I often imagine myself and my sisters floating in the heavens or the ‘Other Side’ and find myself deciding to appear first! In case of miscarriage, I have often seen the soul to reappear at a later pregnancy and in one instance, the soul went on to be born into the mother’s best friend’s family. 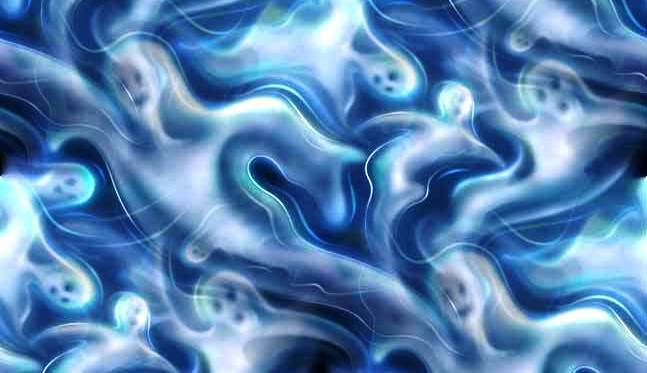 I have also seen with various combinations of people how the same group of souls has appeared in their past lives as closely related individuals, siblings, parents or children. With hundreds of such readings, I can definitely say that souls certainly choose their parents, their place of birth and the events in their lives that would take place. Isn’t it wonderful to know that I and my family members have chosen to be together? I am especially honored to find that my daughter has chosen me. This is the most precious gift she has for me in this lifetime. It happens often that we see these numbers 11:11, 12:12, 10:10, 22:22, 12:34, 2:22, 3:33, 4:44 or 5:55, while watching the clock or that these same numbers to appear in the most unexpected places. Seeing more and more the master numbers, or a series of double or triple numbers, and the frequency with which this happens is accelerating, to the point that now we can no longer speak of a simple coincidence. The phenomenon is coming to gigantic proportions, and everyone agrees on the fact that there is a deeper meaning, a coded message for us that comes from the spiritual world. Among the master numbers the more frequently seen is 11 and particularly in its dual form, 11:11 . But what does it mean? The meaning is that a Greater Reality has been inserted into our everyday life. It is taking place a fusion between our “universe” and our physical bodies. This transforms our DNA and allows us to finally become “alive and vibrant”, totally real. 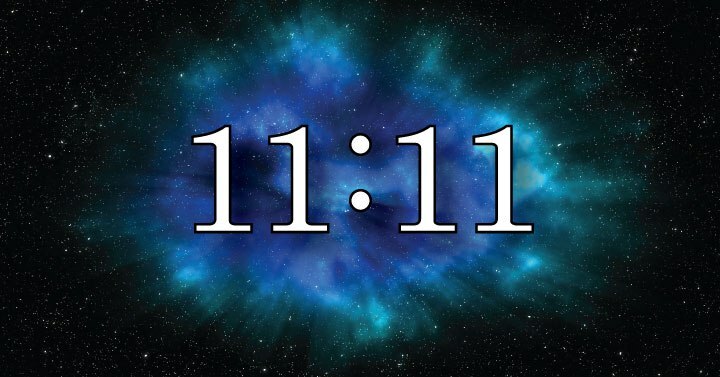 The next time you see the 11: 11, stop and feel the subtle energies around you. A reminder of your true purpose here on Earth. Usually, during these times of heightened energy or accelerated personal change you will notice much more frequently 11: 11. Seeing the Masters numbers is ALWAYS a confirmation that you are on the right path. Whenever we see the numbers 11:11, our cellular memory store is activated. We get stimulated deep, a nod to the memory of something that we have forgotten. The appearance of 11: 11 is a powerful confirmation that we are on the right track and we are aligned with the Greater Reality. 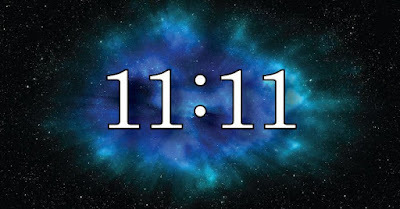 11: 11 is an insertion point through which the Higher Reality enters the present moment. When it happens, it’s time to stop and expand your vision. We can enter the Greater Reality and travel within the Unseen. You can release a desire that has been captivated for long, having a vision, ask for help for something specific in our lives or simply feel the Invisible insert in the present moment. The revelations you receive will not be in the form of mental concepts, rather, they will be exalted states of being in which you could see everything as if you had new eyes. A deep understanding of what is truly real will surround us. It suggest that it is time to look around and see what is reality and what is illusion. It is time to remove the veils of illusion that keep us confined in an illusory world. You have been chosen because you are ready to enter the Greater Reality; to make way for others into a new way of living, Upper Love; to ascend from duality to Oneness. Then there are the repetitive Masters Numbers. Masters Numbers are multiple numbers such as 11, 22, 33, 44, 55, 66, 77, 88 and 99. These numbers belong to the Greater Reality based on Unity rather than duality. Each Master Number is a level of initiation that we all must go through during our evolutionary journey on Earth. Sometimes, we can be triggered by a number greater than the Master as: 111, 222, 333, 444, 555, etc. Each of these has a unique resonance which affects us and enables us to a deep cellular level. 11 = Birth and anchoring the New. 22 = Build the New. Building New Lives and a New World. 33 = Universal Service through the acceleration of our One Being. 44 = Balance between spiritual and physical, the reconfiguring of our evolutionary labyrinth. As above, so below. The creation of the foundations of our New Lives. 55 = Achieve personal freedom freeing yourself from the past and be totally real. 66 = Fulfilling our responsibilities in a creative and joyful way. 77 = Deep introspection and revelation. Rely on our innermost essence. 88 = Deep Knowledge of abundance and integrity in all realms. 99 = The completion of a major evolutionary cycle. Time for another quantum leap. The great void, the unknown that needs to be and that is not yet born. Move to a higher dimensional flow, skipping the time matrices. The portal of creation before creation. A remind that you are always one with the universe. Take the inner circle of completion for completed what needs to be completed. Portals open and portals are closed and you are among these. Conscious creation with 13 seconds interval between a thought and another. Become one with the Soul in abundant creation of the desires of the heart. The highest sequence of manifestation / creation without frustration. All the words you think, actions and intentions will sprout is that the rain will help them to grow or not. Step out of polarity. Time goes on with or without you. Not automatically created, you have your say in your life. Keep living your intentions, knowing that what you have planted by your words and actions will grow and mature in accordance with the seasons of the sky. This number offers you a choice. The trinity is activated within the tetrahedron in the structure of your DNA. This number gives you the opportunity to connect with beings, masters, guides and highly evolved angels. The trinity is the holiness within all of your choices. Your body, mind and spirit are in agreement with the evolution of your Soul. In the presence of this number you can not be undecided. Connect with the wisdom of the Great Soul, and notice the holy in all your choices without looking at the result. New foundations of light to your life. New opportunities coming without even asking. Build your future one thought at a time, brick by brick. Do not let anyone throw down your dreams with their negativity. Believe deeply until you see results. Hold on through all choices and changes. Stay anchored to what you know to be divine truth and the new platform of light will solidify. The universe is making changes for you whether you have asked it or not. The universe is changing direction for you with the permission of your Soul. Hold the vision until you’ll land at the beach itself. This change can be an answer to a long forgotten prayer. The future is hidden, so look at it with the same eyes with which would look at a much desired dream. Allow the current to bring you a future full of possibilities still hidden if for you from where you are now. The vibration of 6 was transmuted to a vibration of light and is perceived as a divine emanation. For too long humanity has associated the 6 to everything that was considered negative, dark, dense or even demonic. Just look at the beauty of a planet that has given you life force ever since you were born. The number 6 is asking you to go back to the original seed of life in reverence for its numerical explanation. 6 belongs to the Earth, but there is a divine beauty in the earth and those of the earth. Mother Earth begins to return to its original shape even without the consent of his children. Putting yourself inline with the true essence of the number 6 you will find harmony and unexpected ease as you follow the new directions of the earth under construction. This is the vibration of the spiritual warrior. The one that runs the narrow inner path. 7 works for the light and with the light. 7 eats, drinks and talk about light. To 7 it is not allowed to step outside the boundaries of light for more than a moment. Seven returns you to the home, the place where miracles are at all times, the place where you can fly and dance with the stars. Seven is the place where wonder, magic and miracles are quite natural. Seven is your natural state of being. As in the above, so below. This configuration opens the Infinite Portal and guides us in the release of all limitations. It is the number of going beyond what we consider to be our limit. He asks us to fly to the moon and stop and look at the Milky Way on the way back. It is pure spiritual atomic energy, a pure source of power. It is success, prosperity and big business with the blessing of the Universe. We finally recall our divine inheritance as promised by the Creator. It lifts our eyes above the earthly limitations and go back to a place of opulence and generosity. Cosmic and personal completion. It means move to the next level of love and service for the evolution of the planet through self-healing. free fall from nine in the light. Entry and exit are in the same breath. Through the back nine you have a quantum leap into unknown gifts. Are you ready to see more and to be more than what you are right now?